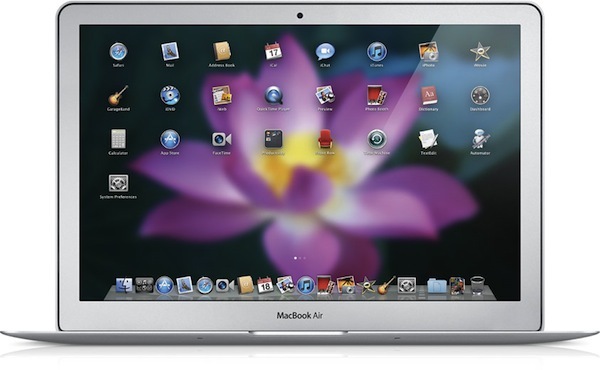 With the introduction of OS X Lion and the Mac App Store today, Apple set the path to a future full of changes. In the process, they've killed a few things. Wait, what? Apple didn't kill applications. Actually, yes. With the Mac App Store, Apple is putting the term "application" away - it's going to be an "app" invasion all over again. Whether this means we'll have to see fart apps and Doodle Jump on the desktop is still unknown. Many developers will keep on distributing applications out of the Mac App Store for a long time, though. It's just that most consumers and new Mac users won't know about that. They'll get used to finding "apps" in a single, useful location. Sparkle is an update framework used by Mac developers to notify users of available updates for an application. With the Mac App Store, there's no need for it anymore. But of course, developers distributing "applications" out of the App Store will rely on Sparkle for years to come. If you listened to the Stevenote carefully, you may have noticed they referred to the iSight as "FaceTime camera". Apple's website says the same. It's been a great run, iSight. Well, if you think about it: you're going to have to use a Facetime camera for your iChat video sessions. So it makes perfect sense for Apple to fully integrate iChat into FaceTime in the future, we just didn't see it today. So let's say it's "partially dead". Bodega had a great run as well. It's an independent "App Store" for Mac apps that has been around for some months now, but it won't stand any chance against Apple's own Mac App Store. Sadly, as it was (is) a great project. Because it's SSD all the way on the new Airs. It was about time to kill that old clicking noise. The new MacBook Air comes with a tiny and elegant software reinstall drive. Plug the stick in, your OS is brand new. A taste of the future.